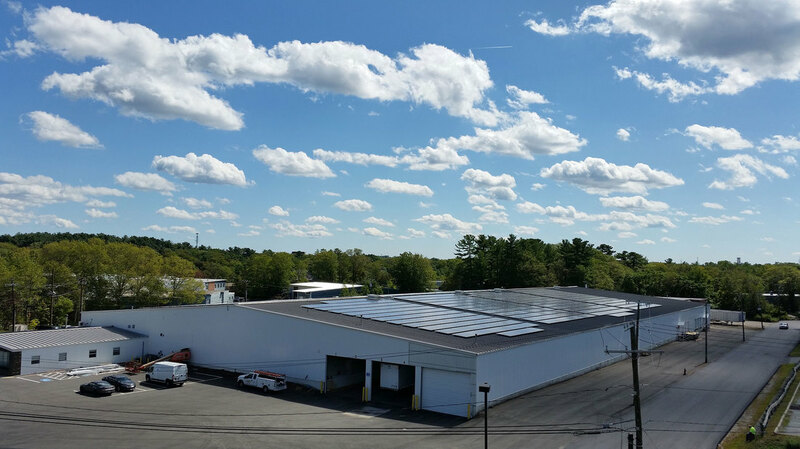 Canton Solar 2 is a 527 kW community solar array located on the roof of an operational shipping and warehouse facility in Canton, MA. Installation of the array required equipment, conduit and more than 1,700 modules to be hoisted onto the east-west facing roof. Constant lines of communication between the Nexamp team and on-site tenants helped to ensure that construction activities had minimal impact on the day-to-day operations of the facility. Woods Hole Oceanographic Institution (WHOI) will share in the electricity savings generated by the project, along with over 30 local residents, businesses and non-profits through Nexamp's community solar program.